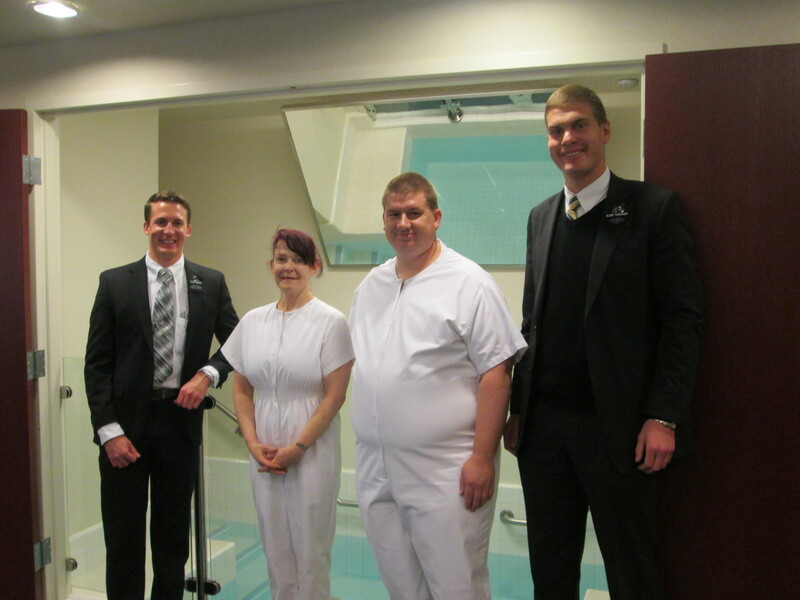 This past week went pretty well, and we managed to have another baptism too. 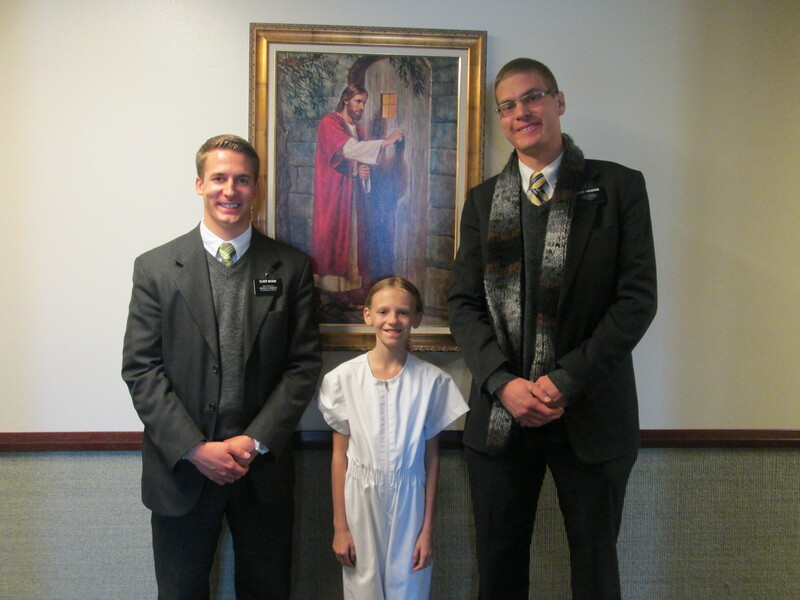 Elder Mason and I will be staying together for another transfer so not too much changed with transfers last week. 3 transfers is the longest I have ever stayed with someone, so there is either something I really need to learn from him, or there are people here that only we can both help out so we will have to see how this goes. It should be another transfer where I end up growing a whole lot more, but we will see.The baptism was awesome. Her name is Tanna Marshall and she is in her late 40’s. From the very beginning of the lessons, she had been so excited about being baptized that she couldn’t help but count down the days until it actually happened. She lives in pretty rough circumstances, but she never let any of that get her down because she has a strong belief in Christ and she already knows about the certain things that you need to do in order to continue to keep on growing in the gospel. She is honestly one of the most enthusiastic recent converts/investigators that I have ever taught and it will be really hard for anyone to top her. She has so much fellowship in the ward that she is in, and that helps out a ton with helping her work her way into the life of a member of the church. It has been awesome to see how much the area has been able to grow since I first got here and that makes me feel at least a little good about what we have been able to do to help out. We don’t have too much right now in our teaching pool, but we have a couple of others who we are working with to help towards baptism this month – one preparing for next Friday on the 15th, and someone else who is preparing for the 30th. Things are going really well, but now it is just a matter of keeping everything up so that the area can continue to thrive and not getting lazy because when it comes to getting into that mindset then things really start to spiral down so this will definitely be a transfer where a lot of growth will take place.Elder Mason is an oldie and he turns 23 on Friday, so we might have to do something special for him on his birthday to help him enjoy his time. That is about it from here though. That is awesome hearing about Baylor beating Oklahoma and becoming #4 in the nation, that is really exciting. It is really good to hear that Nick Foles is continuing to tear it up with the Eagles and also that Texas has finally found their rhythm. So that is definitely exciting to hear. I will get pictures to y’all soon – stay eager, hahaha. Take care of yourselves everyone and stay safe! ← Awesome Miracle/Ba​ptism Filled Week!